Reorganized File Menu for saving and loading bundles, procedures, and perspectives. 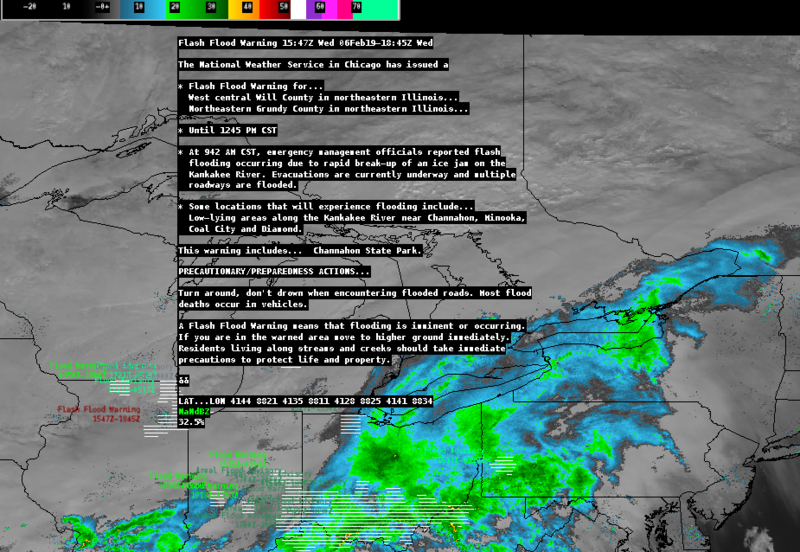 D2D default view switched to 5-pane with GOES E/W geostationary views, plus regional and local views. New menu items for GOES 17 (GOES West) sectors WCONUS, WFD, WMESO-1, WMESO-2, AKREGI, HIREGI. 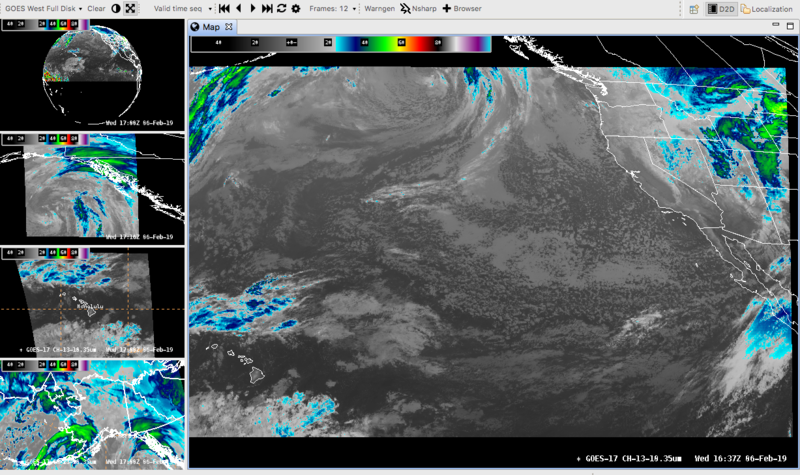 New GOES Geostationary perspective multi-view bundles loaded from the Satellite menu. WWA (Watch, Warn, Advisory) plugin display updates with phensig color table and full text on sampling. These new bundles are located in the Surface menu, available for flood, wind, marine, as well as All Warnings and Convective Watches. Removal of REGION, DESK, and WORKSTATION localization level. Any configuration or setting which used the DESK or WORKSTATION levels will now use SITE instead. This makes for only 3 localization levels to manage in Unidata AWIPS from 18.1.1-5 onward: 1) BASE (default), 2) SITE (e.g. OAX), and 3) USER. More efficient thread control for the ingestGrib JVM in /awips2/edex/etc/ingestGrib.sh rather than using definitions in /awips2/edex/conf/resources/. Updated the /etc/init.d/edex_ldm wrapper to allow for the use of ldmadmin clean as root. Fixed a bug with Python environments when running edex qpid as root. Updated pqact.conf to include GOES 17 products, as well as a fix to ingest both METOP-A and B ascat files.